How Many Times Does Lightning Strike Around the World Each Day and How Hot Is a Bolt of Lightning? Lightning strikes the earth and other objects around it more than 8.6 million times a day, or about 100 lightning strikes every second. Lightning is a discharge of electricity in the atmosphere accompanied by thunder. It usually occurs during thunderstorms, but can sometimes occur during volcanic eruptions or dust storms. A leader of a bolt of lightning can travel at speeds of 60,000 m/s (130,000 mph), and can reach temperatures approaching 30,000 °C (54,000 °F). Lightning can be hot enough to fuse silica sand into glass channels known as fulgurites which are normally hollow and can extend some distance into the ground. The study or science of lightning is called fulminology, and someone who studies lightning is referred to as a fulminologist. 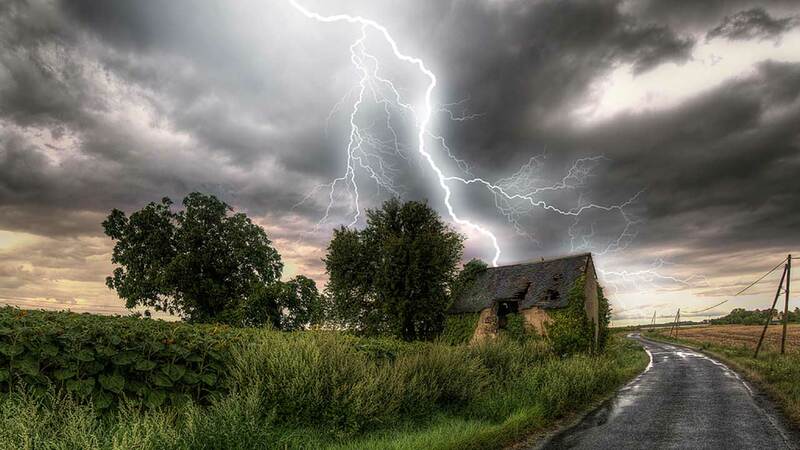 An irrational fear of lightning, and thunder, is called astraphobia. NASA scientists have found that electromagnetic radiation created by lightning in clouds only a few miles high can create a “safe zone” in the Van Allen radiation belts that surround the earth. Why Does Lightning Fork and Form Branches and How Large Is the Diameter of a Bolt of Lightning? How Hot Is A Lightning Bolt?